As is now customary (after three seasons we can say that, right?) 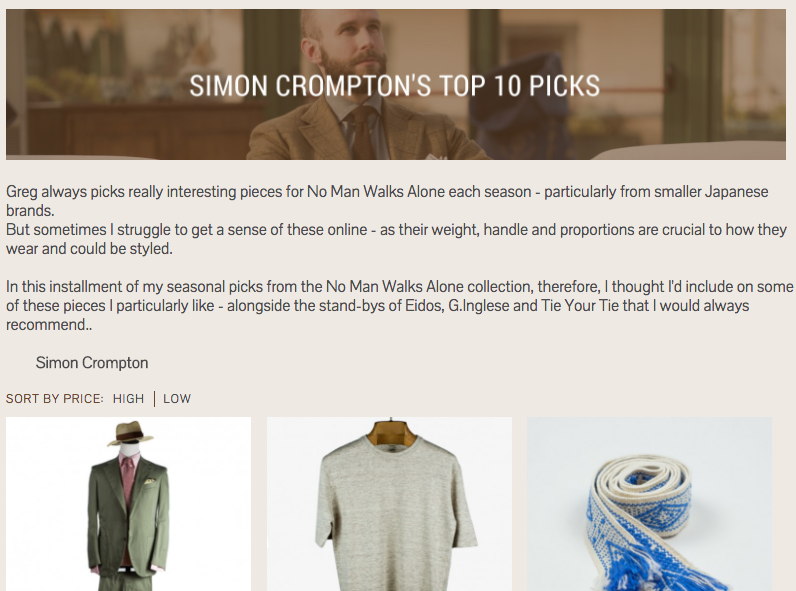 I picked out my favourite 10 pieces from No Man Walks Alone's stock last week. I took advantage of being in New York to go through most things in person, and there are therefore some hopefully helpful points about texture, weight and feel. You can follow the discussion on Shorts, slubs and natural colours: My pieces from No Man Walks Alone by entering your email address in the box below. You will then receive an email every time a new comment is added. These will also contain a link to a page where you can stop the alerts, and remove all of your related data from the site. Do they give you everything you recommend as a way of saying thank you?